The political struggle between the two major parties over the Federal estate tax, or “death tax” as its opponents prefer to call it, continued with the expiration of the estate tax on January 1, 2010 for one year. On January 1, 2011, the estate tax is scheduled to reappear but not for estates over 3.5 million at a tax rate of 45%, as in 2009 when the tax expired. Under the Bush era tax cuts, enacted in 2001, the estate tax in 2011 and beyond will be imposed on estates over one million, at a tax rate of 55%. Where do these latter figures come from? Those were the exemptions and tax rates in 2001 when the new law took effect. It was assumed that Congress would pass amending legislation some time over the intervening nine years to correct the problem. Politics being what it is, the parties could not agree. A proposal to extend the 3.5 million exemption of 2009 for an additional year, giving Congress an additional year to negotiate a new estate tax regime, died in the Senate. For couples with estates over one million dollars, it is essential that they review their estate plans for unintended consequences should one spouse die in 2010, the year of no estate tax. If there is no tax planning then tax language should be added to avoid the potential 55% Federal estate tax on estates over one million starting in 2011. For couples with tax language in their plans, you must look for disclaimer language (typically used by Ettinger Law Firm since 2006), which allows the surviving spouse to determine the amount, if any, to leave in the deceased spouse’s trust on the first death. These plans have the flexibility to “roll with the punches” no matter what Congress ultimately decides. Couples who have old trust language that has not been updated are most at risk. Typically, these old trusts (and wills) provided that the amount that was exempt from the Federal estate tax remained in the deceased spouse’s trust. If a spouse with the old “formula” language dies in 2010, then nothing stays in their trust, since there is no estate tax, and it all comes out to the surviving spouse. Not only may this create a huge tax in the estate of the surviving spouse (potentially $550,000 on the one million that could have been left in the deceased spouse’s trust) but you may also lose $99,600 in New York State estate tax savings by not having the choice of leaving the million in that deceased spouse’s trust. Tax professionals, commentators, Congressmen and Senators are all predicting that some sort of settlement will be reached early in 2010 to alleviate these and other problems arising out of the failure to pass amending legislation on time. We say, don’t bet on it. These are the same professionals who said the problem would be settled long before the December 31, 2009 expiration date. The parties couldn’t even agree to a simple extension of the 2009 rule one year, buying time to reach a compromise solution. With the impending retirement of two democratic Senators, and the likely loss of a democratic super majority in the Senate, there is a very real possibility of gridlock resulting in no agreement being reached and the estate tax exemption dropping down to one million at the end of 2010. 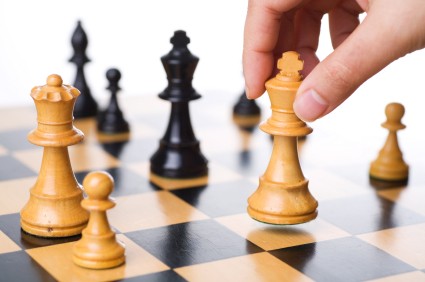 In other words, the great estate tax chess match may end up in a stalemate.